Showcasing beer and wine together is quite a natural thing for us. It creates some natural synergies. Not everybody has an interest in beer. Nor does everybody have an interest in wine. Bringing the two together in a great tourist location to us seemed like a great way to provide visitors with a wide variety of taste sensations. Grain and grape together, matched with fine food, creates an interesting offering for a wide variety of people. We are proud to be brewers first, and winemakers second. But this in no way diminishes our enthusiasm for both great taste experiences. Wine lovers, Murray’s offers you the ideal wine tasting paradise with 7 different varieties grown onsite over our 35 hectare property. In addition you can visit our Cellar Door to try up to 20 different local and regional wines, by the glass or bottle. Many of our wines are only available at our Cellar Door. Upfront aromas of freshly brewed coffee and chocolate notes. The classic flavours of freshly brewed coffee and luxurious chocolate are present on the palate, with a soft velvety mouth-feel. Drink on its own with ice, in coffee or use it as a versatile cocktail mixer, for something different, try over ice cream. A nose of chocolate and raisins, this tawny has a lovely light colour. The palate is soft with wood and raisin flavours. A sweet, smooth tawny is the perfect way to end the day. This wine has a lively fruit sensation from Shiraz, Cabernet Sauvignon and Ruby Cabernet grapes with a well- rounded finish and velvety texture. Great with white meat or pasta dishes, this is a sweet wine that is designed to be served chilled. 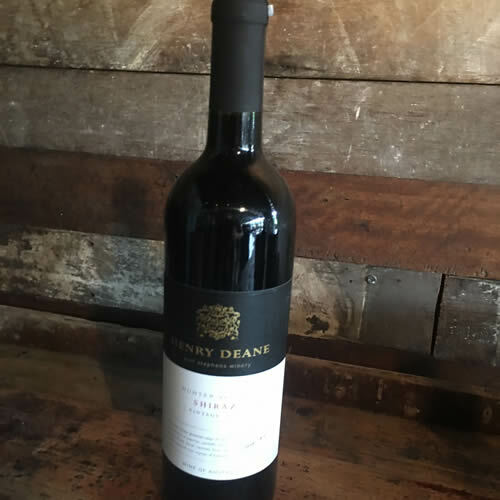 This Shiraz is deep plum in colour with vibrant crimson hue offering aromas of nutmeg, peppercorns, plum, blackberries, blackcurrant with hints of aniseed and smokey/nutty oak. A classic Hunter Shiraz, best paired with braised steak and mushroom pie, eye fillet or smoked cheddar cheese. A well rounded, smooth and balanced wine, highlighting the blend of these two great varieties. Deep garnet hues contrast with a brilliant red sparkle, with an intense nose of cherries and soft spice which provide the herbaceous undertones whilst the full body and solid tannins deliver a fresh spicy well-structured supple wine. Semillon is a classic French grape that produces full-bodied, rich and aromatic wine. This wine has a luscious nose of apricots, nectarines and honey companied by a light golden colour. This wine lingers deliciously and is most enjoyable with a cheese and fruit platter. Or for something different, try it with ice cream, macadamias and mango (or berries). The grapes are pressed very soon after picking and chilled to stop early fermentation, creating a light refreshing wine. This wine is lusciously lively, packed full of soft musk, roses and lychee fruit with a citrus and honey mid to back palate. This wine is perfectly suited to alfresco dining, brunch or light desserts. Bull Creek Sauvignon Blanc Verdelho is a fresh and lively wine with a herbaceous tropical fruit bouquet. The palate is full of citrus flavours with delicate lemony tone which is complemented with a clean and fresh finish. A great wine to accompany seafood and spicy Asian cuisine. A full bodied Chardonnay with generous upfront fruit sweetness of ripe melon with butterscotch overtones gives a balance by a crisp clean finish. Perfumed nectarine and white peach with nuances of quince and honey balanced by a gentle citrus zing. Lots of flavour on the palate, very well balanced with soft tannins and warm alcohol. Superb when accompanied by Yellow Fin Tuna. A fresh fruit driven wine with a nose of vibrant tropical fruits, particularly passionfruit. The balanced tropical fruit flavours and subtle citrus tones lingers on the palate making it great for any occasion. This Italian grape has a natural strawberry flavour which has been used over many years to produce a slightly sparkling wine displaying characteristics of strawberry. This wine has a lovely strawberry colour and aroma with a lovely refreshing sparkling fullness in the mouth. Serve well chilled with friends, as an aperitif or just when relaxing. 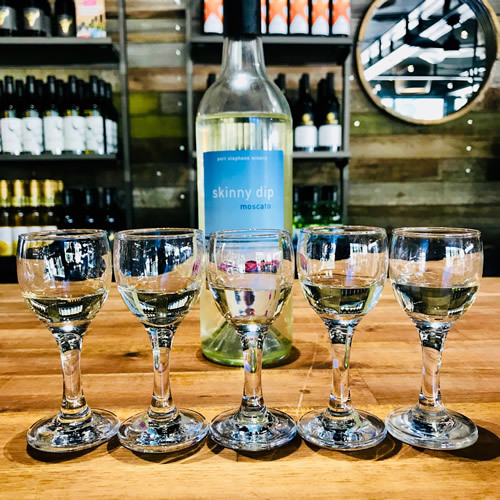 The Skinny Dip Sparkling is a bright and vibrant sparkling wine, with a lively effervescence. Produced in a drier style, with a clean, fresh taste that is refreshing and leaves a pleasant taste in your mouth. This soft and fruity wine is great for any occasion. Serve on its own or with fresh seafood.